Dr. Natalia B. Stambulova is a professor in Sport & Exercise Psychology in School of Health and Welfare at Halmstad University, Sweden. 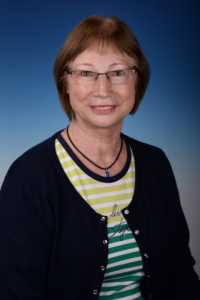 Her professional experiences in sport psychology refer to her work for more than three decades as a teacher, researcher, and practitioner in the USSR/Russia and since 2001 in Sweden. Her research and publications relate mainly to the athletic career topic with an emphasis on athletes’ career transitions and crises. Dr. Stambulova is serving as an associate editor in Psychology of Sport and Exercise, section editor in International Journal of Sport and Exercise Psychology and the editorial board member in Journal of Sport Psychology in Action. Her particular specialization in applied work is assisting athletes and coaches to deal with various career/lifestyle issues and especially with career transitions and crises.